You have seen all about the caldera; you probably have heard of the vineyards and the black sandy beaches, but you are not the kind of traveller that goes with the flow; thus, we gathered 10 secret locations in Santorini that you have to discover, if you are interested in discovering a less popular side of the island. Lighthouse. It has become popular, nowadays, but you have to travel at the island’s south end to enjoy some of the greatest sunset views that you can find on the island. Beach of Pori. 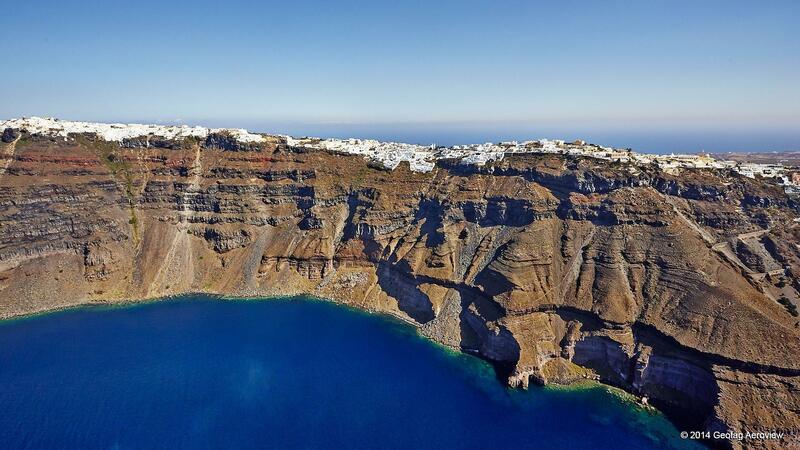 On the road to Oia, without any signs, just a hidden little red bay where you will swim with attention to the rocks but, yet, you will enjoy the real side and the wilderness of Santorini’s coastal beauty. The Monastery of Prophet Ilias. If you just think of the monastery as of a religious spot, then, you will simply miss the best views on the island. Head to Pyrgos village and then follow the signs. Kontochori Village. You pass through its streets to reach Ira Hotel & Spa. If you decide to stop there, visit the Folklore Museum and wander in its narrow alleys to admire some really authentic architecture or follow the signs to Exo Gialos beach. Agios Nikolaos, Ammoudi. Find Ammoudi and follow the path going beyond the restaurants. Behind the red rock, you will find a small bay to dive into crystal clear waters. Mesa Pigadia Beach. Recently organized still pretty pristine. Swim to the cave leading to the White Beach. Follow the signs before entering the Akrotiri village. Mesa Gonia Village. On the road to Kamari, turn to Mesa Gonia. Walk around the alleys of an almost deserted village, visit the church of Episkopi- the oldest on the island, and the Argyros Winery. Messaria Village. The Argyros Mansion is open to the public. If you decide to stop here, do not miss a stroll among old factories and mansions. The windmills of Emporio. You will probably see them when you are driving to the beaches of Perissa and Perivolos. Pay a visit and admire some really great views! Hope you enjoyed our little trip to Santorini’s best secret locations! For more though you can click on www.ira-hotel.com.